The mystery of the Pyramid has finally been solved by the University of Hawai’i basketball team. 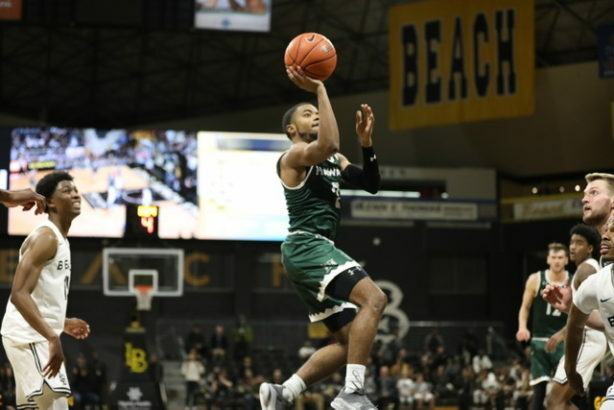 The Rainbow Warriors tied a school record with 14 3-pointers in a breakthrough 77-70 victory over Long Beach State on Thursday at the Walter Pyramid in Long Beach, Calif.
Hawai’i joined the Big West Conference in the 2012-13 season, and had been 0-6 since then in the Pyramid prior to Thursday. 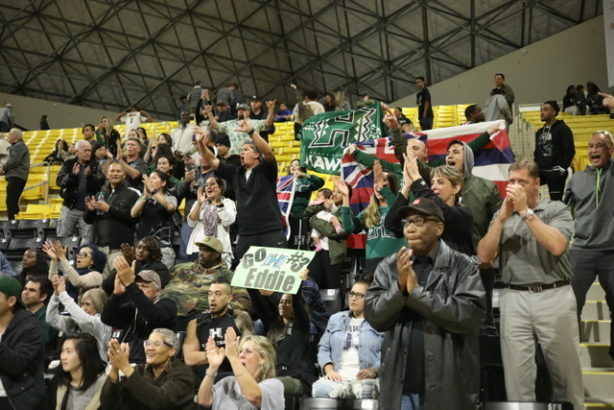 The Warriors can now claim at least one win in every arena in the Big West. Hawai’i improved to 14-8 overall and climbed into a tie for third place in the Big West at 5-3. The 49ers dropped to 8-16 and 2-6 with their second loss to the Warriors in as many weeks. 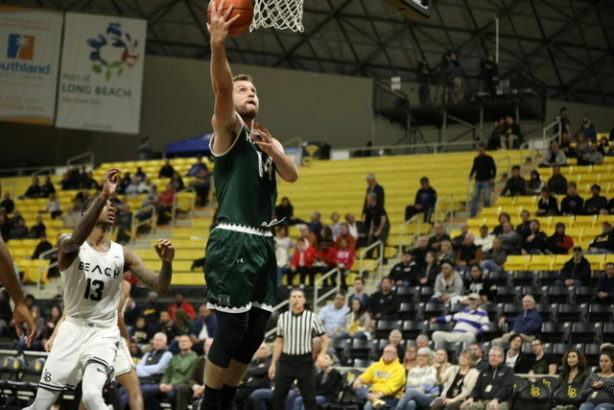 Hawai’i beat Long Beach, 74-57, last week in Honolulu. 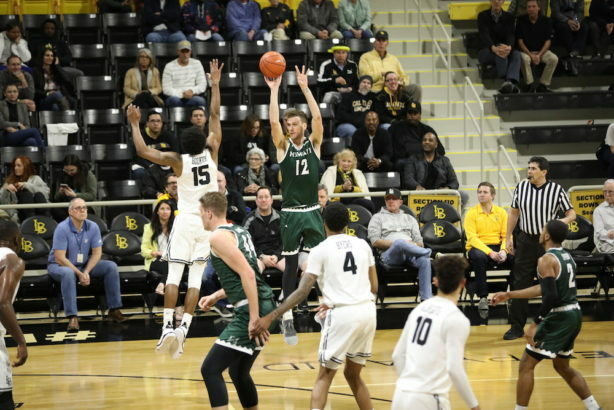 Senior guard Brocke Stepteau scored 23 points, including 5-of-6 shooting from 3-point range to lead the Hawai’i offense. He also was a perfect 8 for 8 on free throws, and added four assists. Senior forward Jack Purchase added 17 points and shot 5 for 8 from 3-point range for the Warriors. He now has made 176 3-pointers in his UH career, and is four away from tying the UH record for career 3-pointers (180 by Zane Johnson from 2010-12). Zigmars Raimo had his third double-double of the season with 14 points and 10 rebounds, Drew Buggs contributed seven points and seven assists, and Sheriff Drammeh shot 3 for 5 from 3-point range for nine points. Ganot made sure to cite Buggs as a key contributor, particularly on the defensive end. Buggs was primarily responsible for limiting Long Beach guard Deishuan Booker to 11 points on 4 for 7 shooting. He entered game averaging 25.9 points per game against Big West competition. What’s more, Booker entered the game leading the entire NCAA Division I with 159 made free throws, but he did not even attempt a single free throw in this game. The Warriors’ 14 3-pointers tied the record that was also reached four previous times by UH teams (2018, 2016 and twice in 2002). Hawai’i finished 14 for 27 (51.9 percent) from 3-point range. The Warriors needed every 3, as they were just 12 for 35 (34.3 percent) from inside the arc, and 26 for 62 (41.9 percent) overall. The Warriors also got out-rebounded, 42-33, and Long Beach State shot a respectable 46.4 percent. The Warriors trailed by as many as six points midway through the first half, but the Warriors went on a 19-6 run to take a 38-31 lead with 2:05 remaining in the half. Purchase made two 3-pointers and Stepteau and Drammeh made one each during the surge. Hawai’i eventually took a 41-35 lead at intermission, and shot 9 for 18 from 3-point range in the first half. Purchase scored 14 of his points in the first half, including four 3-pointers. The Beach opened the second half with a 9-0 run to take a momentary 44-41 lead. The Warriors responded with an 8-2 surge to regain the lead at 49-46 with 15:20 remaining. Hawai’i stayed in front the rest of the game, although the 49ers stayed within striking distance throughout. Temidayo Yussuf led the 49ers with 18 points. The 49ers were without starting forward Mason Riggins (flu symptoms), who scored 18 in the loss at Hawai’i last week. The Warriors will remain in the Southern California area for another Big West game on Sarturday – at first-place UC Irvine. That game is scheduled to start at 7:00 p.m. Pacific Time (5:00 p.m. Hawai’i time) and will be available via streaming video on ESPN3. Big win for the Bows! If they can keep shooting like this, they will be the Big West champs, no doubt. Especially for Brocke. They set the 3 point record with Eddie S having a bad game. If Eddie shoots like normal and Brocke stays hot, this team will be very hard to beat. Lets Go Bows! Awesome win for our Road Warriors! 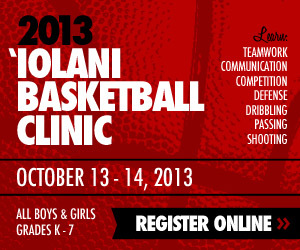 If we can play consistently at Irvine, making the free throws, playing tough D, and hitting open shots, we can win at . Come on Warriors, be aggressive and ATTACK!